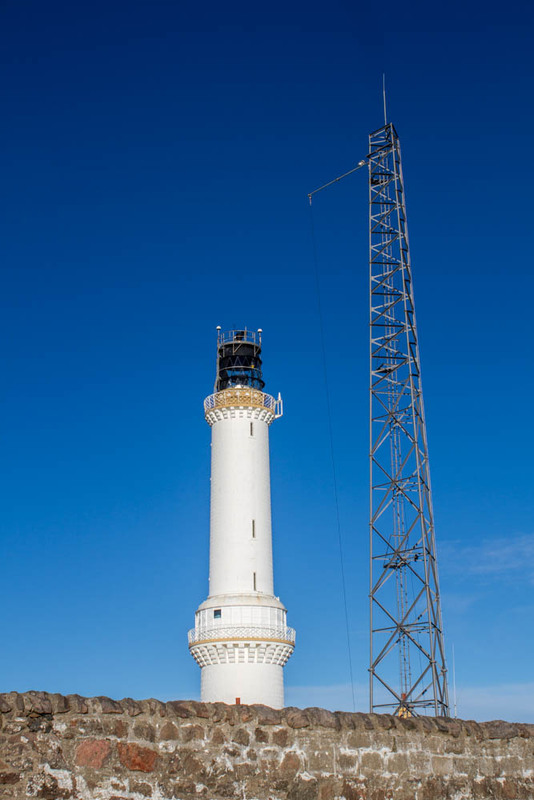 The sun was bright, the sky was blue and I had a few minutes to spare on my way home from a visit to Cove, so I turned off the main road and drove round Greyhope Road past Girdle Ness Lighthouse. As I passed the car park at the Bay of Nigg I remembered visits there with my son Donald and his friend Barry who were carrying out a project for Higher Georgraphy (or so they said!) measuring stones and counting them in meter squares. There was no time to stop there today though, and anyway the car park looked very rough and churned up. My eyes were on the lighthouse. 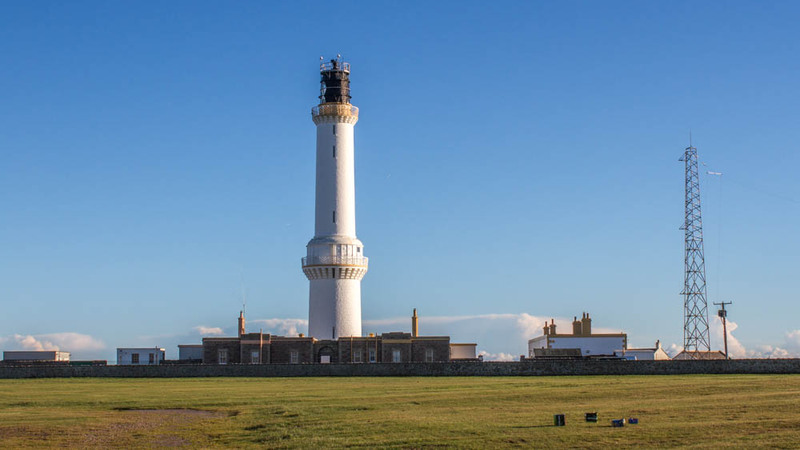 Engineer Robert Stevenson oversaw the building project which was completed in 1833 after an appeal by the shipmaster of Aberdeen requesting that a light be established at Girdle Ness, following the wreck of a whaling ship called the Oscar in 1813. There were only 2 survivors from a crew of 45. The adjacent radio masts are part of a network for global positioning of ships at sea. I find my camera drawn quite often to lighthouses, but Girdle Ness is not one of my favourites. I don’t find its shape as pleasing as the more classic shape of the Bell Rock or Buchan Ness. Still the sun was out and the lighthouse stood out well against the blue sky. My Auntie Irene was brought up in the nearby South Kirkhill Farm and I remember stories of regular visits to the farm by the neighbouring lighthouse families, just the other side of the Nigg golf course from the farm. 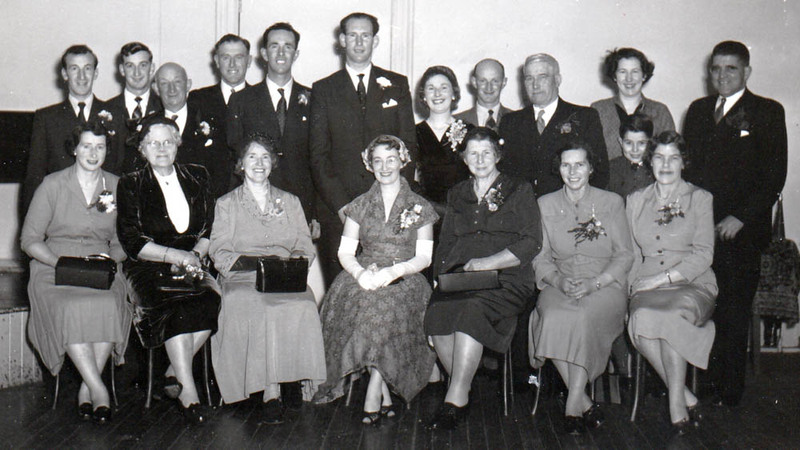 I also have a vivid memory of my uncle Sandy and Auntie Irene’s Wedding at the Royal Hotel in Aberdeen in November 1956. Family from Brechin (including me)made the journey in the late afternoon by minibus to Aberdeen. I remember being impressed by the city lights of Aberdeen as we drove down the hill past Kincorth. My own children in later years shared that joy of seeing what they thought of as the Northern Lights of Old Aberdeen. But I digress…. The memory I want to share is of Irene’s father, clearly having enjoyed a few “refreshments” at the wedding saying farewell to family and friends at the end of the celebrations, out on the street. Clearly lighthouse people were at the wedding and there was Pop Corbett, proudly wearing the uniform cap of a Lighthouse Keeper, singing away as we boarded our bus to return home to Brechin. Irene and Sandy’s Wedding. Pop Corbett is 3rd left in the back row. Little Fred is forming a middle row on his own on the right. 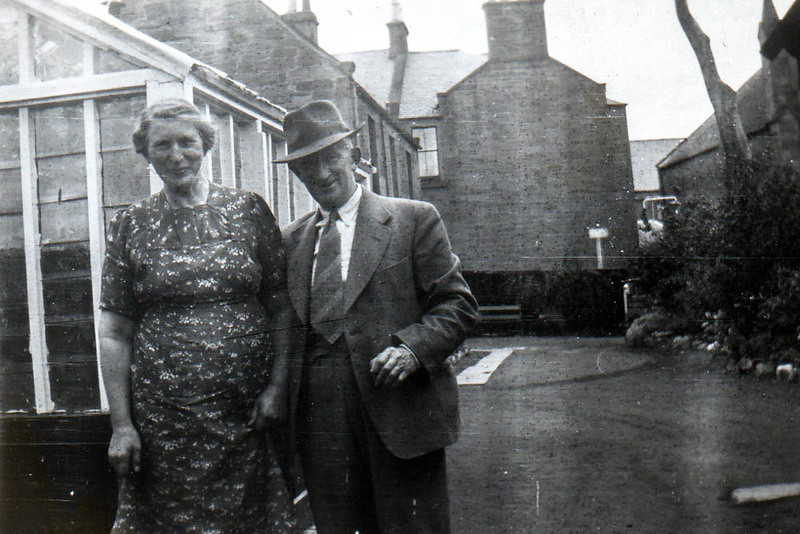 Pop Corbett with my Granny Georgina Smith outside the family house in Brechin.